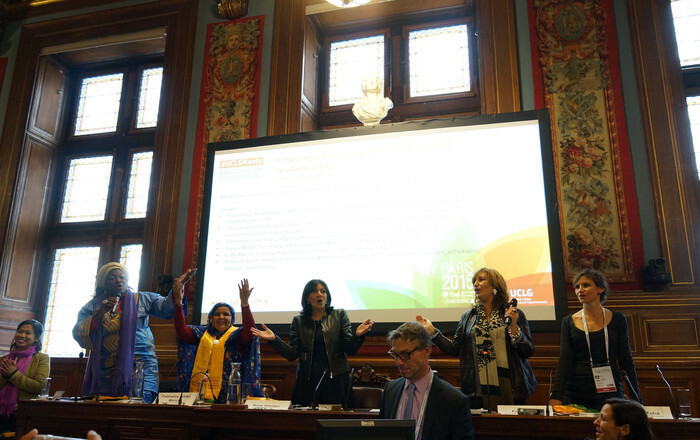 On 6 December, Mayor of Paris and Chair of the UCLG Standing Committee on Gender Equality, Anne Hidalgo, hosted “Women, Leadership and Development” at Paris City Hall, in the framework of UCLG World Council and the COP 21. The session was a unique opportunity for locally elected women, local government practitioners and associations to discuss the role that gender equality at local level will play in the achievement of the major international development and sustainability agendas. 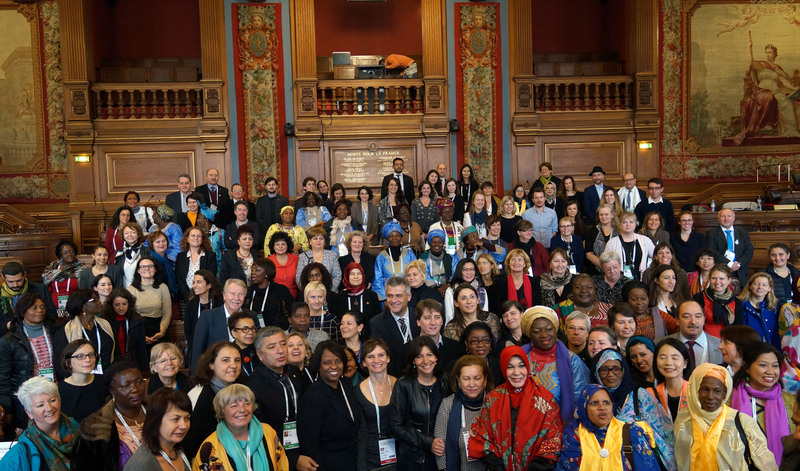 Opening the event, the Mayor of Paris called for increased representation of women in local institutions, saying "we can't exclude half of humanity from political decision-making". She went on to add, however, that "getting elected is just the first step in changing the world for women", and praised the role of women’s networks in strengthening role of elected local women across the world. Then, mayors, local leaders and representatives of civil society participated in three roundtable debates. The first on “Local policies and services for equality: local support for SDG 5” explored the role of local policy in the achievement of gender equality and the 2030 Agenda. The second, “A gender-sensitive agenda for Habitat III”, looked at how to harness the Habitat III Conference to put gender equality at the centre of city planning and governance, and the third, “Empowered women: the foundation of resilient cities”, co-organized with C40 Cities, asked how women can contribute their priorities skills and knowledge to build a more sustainable future. "The fight for gender equality is a long one." "We need the female voice, which puts care at the centre of public policy. Both men and women can use this voice." "Politics is in debt to women for excluding us for so long. We need to feminize politics, which means putting everyday life, care work, at the centre of public policy." "Women on the ground tell me they need formal spaces in which to collaborate with local governments." “The gender equality agenda is key to feed the world. Small women producers play an instrumental role in feeding cities. The empowerment of women in the management of agriculture is very important to fight against climate change." "I’m here because I believe it’s important for men to get involved in gender equality." "Look at the heads of state at COP21, we have a long way to go on female representation." “60% of the poorest people in Africa are women. The feminisation of poverty is a huge problem,"
"Lead from the front. That's where women will make the difference." A full report of the results of the session will be available soon. News: Report on "Women, Leadership and Development"
Report on "Women, Leadership and Development"
Check out the publication: “From SDG5 to Habitat III: the role of local governments in promoting gender equality for sustainability”.